Augmented Reality has of course seen many new uses since becoming a widely available capability on iOS. Some are useful, and some just let you live out childhood fantasies like this. In either case, it’s amazing the digital layer of the world we are building on top of the physical one we have known for our entire lives. 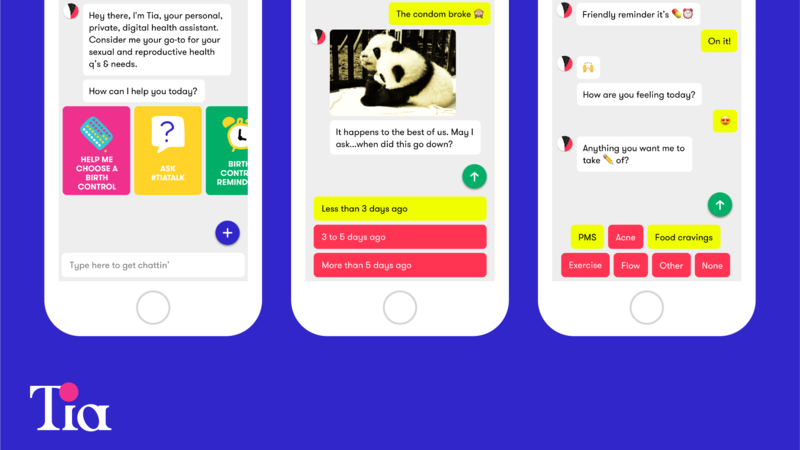 Ask Tia is an iOS app designed to assist and inform women about reproductive and sexual health. Through personal, private text-based conversations, users can find the best birth control, get answers to sexual health questions, find doctors, and track periods and symptoms. It’s the first product from Tia, a company “for millennials by millennials” that aims to help women make informed healthcare decisions. 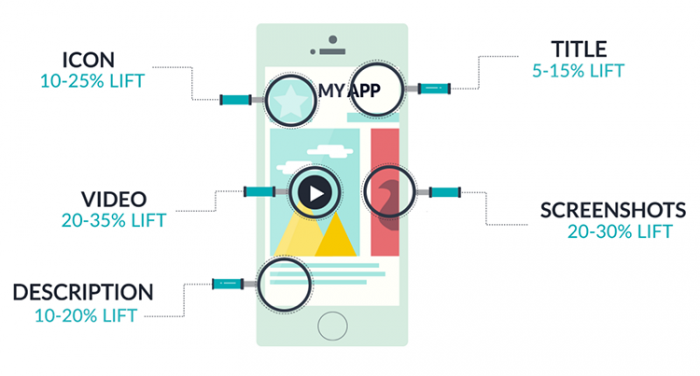 Building a trusting relationship with an app isn’t easy. Tia has prioritized personalizing the information for each user. Even a simple question about missing a birth control pill has several factors (type of pill, where in your cycle, etc. ), which is why Tia’s guiding questions and personalized assessments so much more valuable than, say, a Google search. “Our goal is to expand Tia to be your comprehensive go-to women’s health assistant for all of your health care information needs,” says Witte, Tia’s co-founder and CEO. Sexual health support made accessible through behavioral insight? Yes please. After seven years, the digital band, Gorillaz, are releasing a new album, and as part of their promotion, a new app is encouraging people to find the color magenta to unlock unique content. 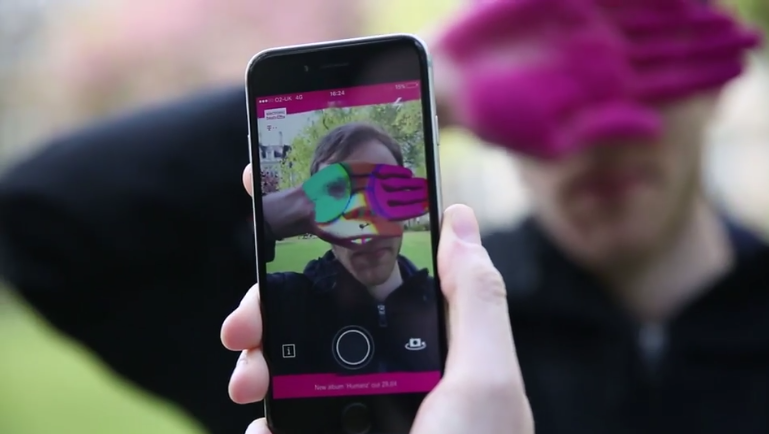 Deutsche Telekom has created the Lenz app that will unlock new content for users whenever they hover it over something magenta — the brand’s corporate color. The brand has teamed up with the virtual band, Gorillaz, to launch the Lenz app, which was created by Saatchi & Saatchi for the Deutsche Telekom music and lifestyle platform, Electronic Beats. With the new app, when a user finds something magenta (it could be a t-shirt, a flower or anyting that matches the Pantone range), they can hold their phone over it, to reveal new content from Gorillaz, including the first ever “live” interview with the band using motion capture and composition technology, and exclusive clips from the band’s new album “Humanz,” dropping on April 28. The app uses Chroma Keying technology to use the color to unlock the content. This is a really cool activation. It is great positioning for Deutsche Telekom because it’s not overly intrusive or brand-heavy. And Gorillaz of course gain additional buzz around their upcoming album. I think this is a great example of a brand involving itself in a moment without trying to take it over. This article does a great job at showing the importance of different elements on an app’s store page. It goes into the differences between the two store. Shows different layout options that change what content ends up above the fold. And goes into detailed and sometimes surprising stats. 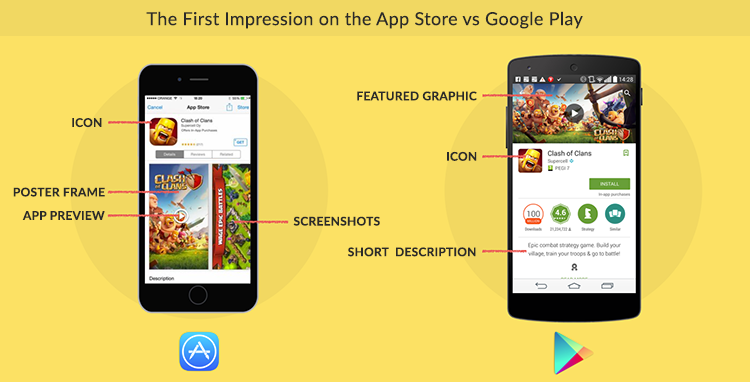 App Store Optimization (ASO) is a crucial part for an app’s success. We need to keep all these things in mind when laying out the store pages on the app store. What’s still a little unclear is how the objects actually communicate, but it appears you need a digital “fingerprint” attached to each in order to actually manipulate and connect them, and that there needs to be an arduino or something else involved. They say you need to create “Hybrid Objects” to actually realize the benefit. What sets Reality Editor apart is the ability to control all of your things yourself, without needing multiple products ultimately controlled by the companies that produce them (to whom you’re also giving data and private information, even images). 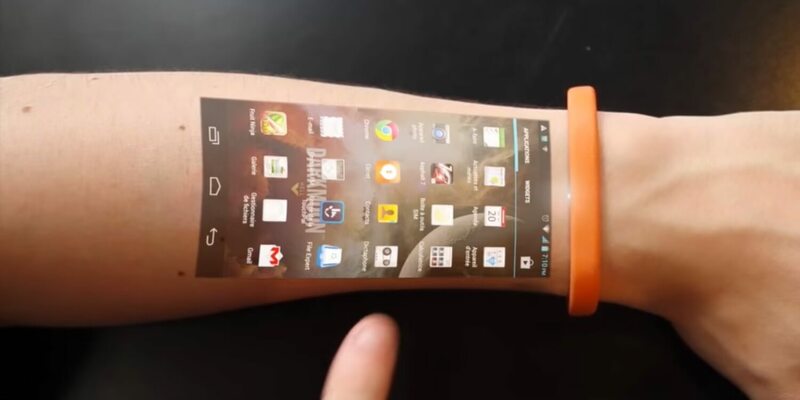 It seems to be a smarter way to achieve the same control over your stuff that the “Internet of Things” promises. 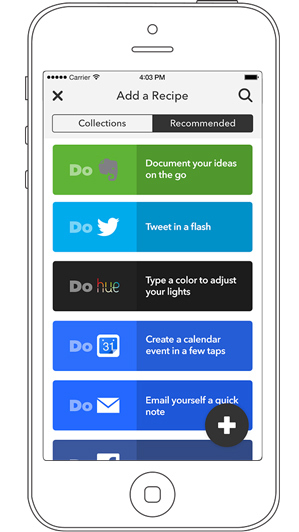 And what’s really cool is it’s not just a concept – it’s actually in the app store now, so you can start doing it today. Paris-based BlaBlaCar is a popular car-sharing service in Europe, but not well known or established elsewhere. What makes them interesting is that during sign-up they have a “chattiness” index that asks the user how chatty they are in a car. They are either “blah,” “blah blah,” or “blah, blah, blah.” They can also select their fellow riders based on whether they smoke or what music they listen to. What is interesting and ironic in many ways is that the backlash to “Uber” in France has been tremendous. Unlike Uber, BlaBlaCar does not have contract workers or employed drivers, but is more a carpooling app. Drivers simply charge their fellow riders a small fee for gas and drop them off along the way to their final destination. And because it is more ridesharing that a car service, it does not have to deal with the regulatory hurdles that have challenged Uber in Europe. The company is valued at $1.6B, making it the only startup in France estimated at more than $1B. While Uber and other services may not be able to gain an enduring foothold in Europe, home-made solutions such as BlaBlaCar may be successful. It shows the universal need to find alternate solutions from getting from point A to point B. 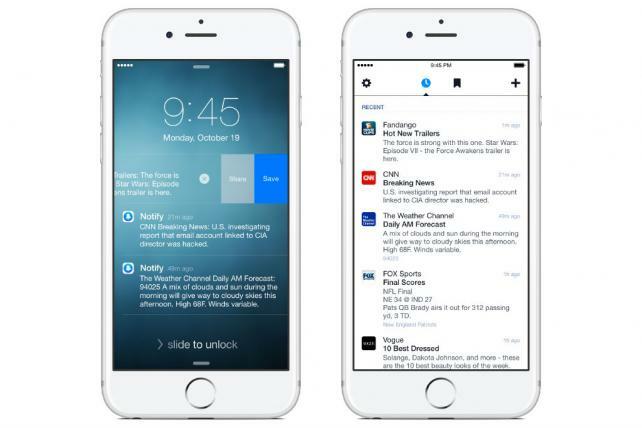 On Wednesday, Facebook released an app for Apple’s iPhones and iPads called Notify, which will alert users with information from media companies including CNN, The Weather Channel, Fox Sports and Fandango. Its notifications are similar to the ones many people already receive from the media companies’ own mobile apps, but they are connected to people’s Facebook accounts, meaning Facebook gets more information about its users’ media consumption habits and interests. The app asks users to pick at least three stations from which to receive notifications, using “stations” to refer to its media partners, which are organized into catergories including news, local, sports, business, entertainment, politics, science and technology, celebrity and gossip, music and audio, fashion and beauty, gaming, health, food and drink, and shopping and deals. While Notify could reduce the need for people to install publishers’ own apps or enable notifications from those apps, moreover, it could also help publishers get their content in front of those people since publishers’ own apps typically aren’t as popular or widely used as apps like Facebook’s. People spend 84% of their time on phones with just five apps, excluding apps that come preinstalled, such as mail and calendar apps, according to Forrester. 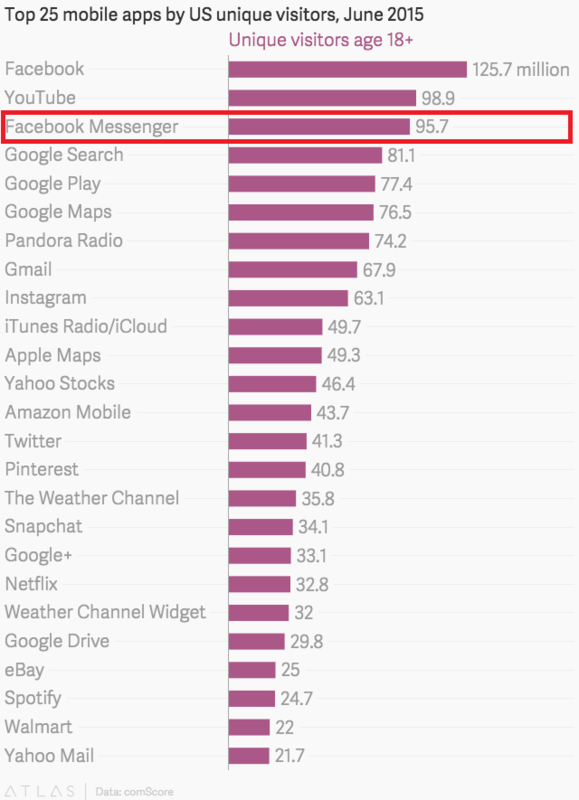 So piggybacking on Facebook’s popularity could be a more successful way for publishers to gain share of that attention. While there are no immediate plans to allow advertising through this app, it could help publishers get their content out in front of more people by piggybacking off of Facebook’s popularity and advertising opportunities will likely follow. What’s special about this campaign though is, surprisingly, some of the ad-placements. Not only is Nike kicking off this campaign with another strong video, but they’re also leveraging new, hyper-relevant in-app ads to promote the new clothing line. According to the New York Times, Nike has ad placements within the Weather Channel App that targets specific workout gear to users depending on the weather in their area and, once clicked, directs those users directly to the Nike store where they can purchase these items on either desktop or mobile. The beauty of this campaign truly lies in the details as this is a great example of a brand creating a strong campaign from top to bottom. It’s both entertaining and convenient for consumers to engage with the brand and it targets consumers to purchase it’s products when they’re in the right mindset. The Tinderization of everything has apparently begun, and it’s sweeping the digital world. 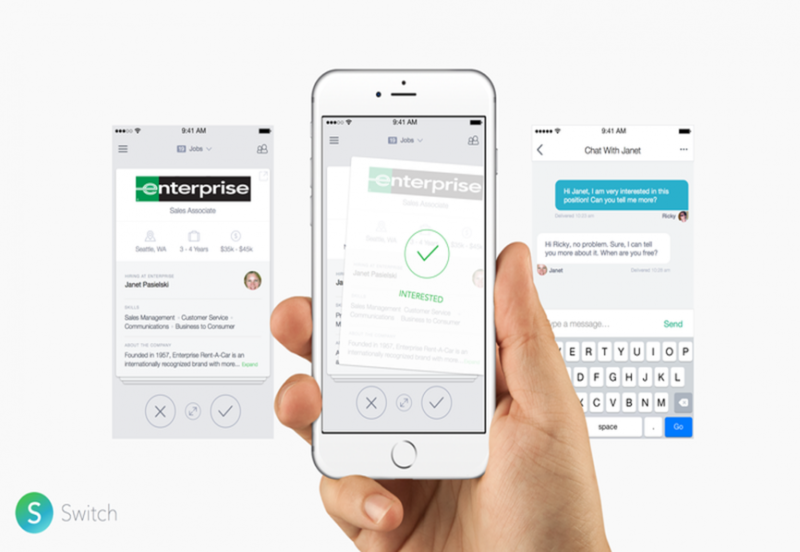 A new app called Switch now lets you post a resume card, browse job postings, and swipe right for anything that looks interesting. If the job poster likes what he or she sees on your truncated resume, they can accept your interest, and you are both connected for a private conversation. 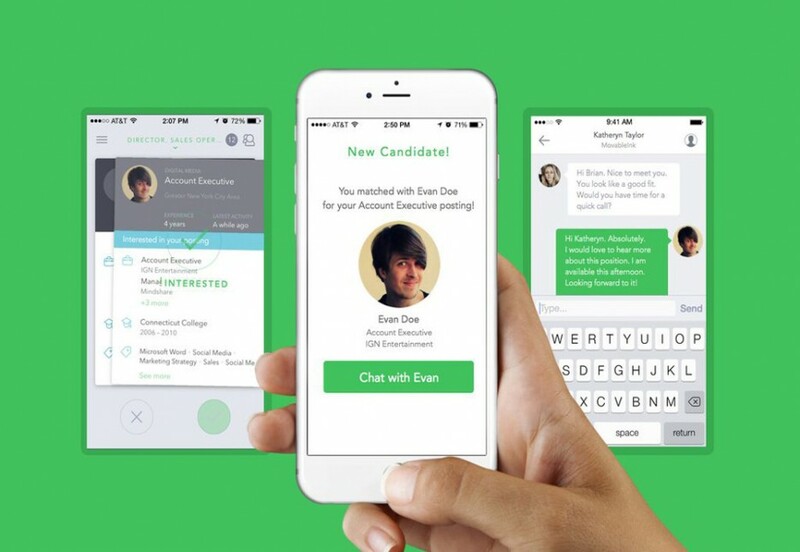 Every few years, someone reinvents the job hunting process. First it was Monster, then it was LinkedIn, maybe now it’s time for (a) Switch. 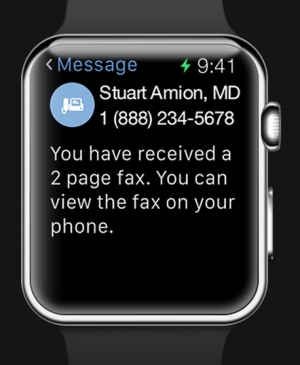 This would seem to make the whole process more efficient, mobile-friendly, and human. Although as with any website or app, it’s contingent upon building a critical mass of users, it seems like a way to match employers and potential employees that fits with the times. A “brain training” iPad game developed in Britain may improve the memory of patients with schizophrenia, helping them in their daily lives at home and at work. The game, “Wizard”, is designed to help so-called episodic memory — the type of memory needed to remember where you left your keys several hours ago, or to remember a few hours later where you parked your car in a multi-storey car park. Wizard requires players to remember the location of patterns in space correctly, rewarding their success with additional in-game activities. Computer-assisted training and different kinds of technological devices are increasingly being used as adjunct therapy or treatment for various illnesses and there is evidence that it has helped people with schizophrenia overcome some of their symptoms, with better outcomes in their daily lives. The patients involved in this study said they enjoyed the game and were motivated to play it across the eight hours of cognitive training. This is important since lack of motivation is a common feature of schizophrenia. It’s interesting because drugs haven’t had a lot of success in getting similar results and this may change the fate of pharma industry with the prospect of more and more medical conditions being treated with sole technological assistance. PSFK posted a really interesting roundup of text-to-shop apps yesterday that you should definitely check out, but probably the most fun of those cited (in my subjective opinion) is called Drunk Shopping. 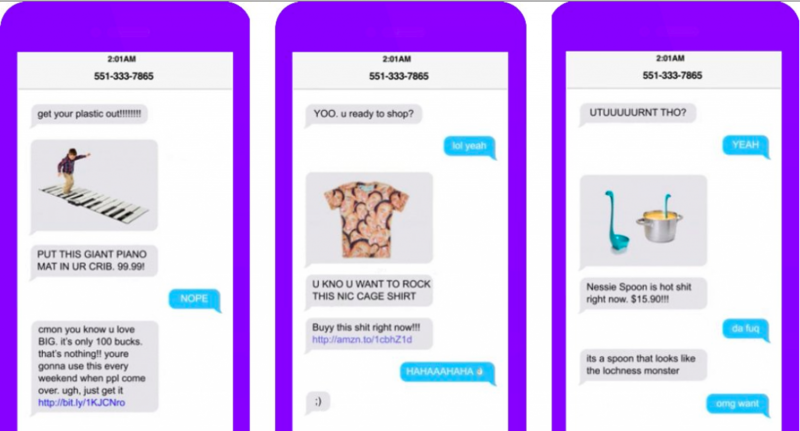 Not just a clever name, users text “heyyyyyy” to 551-333-7865, which incites an exchange like those seen above, wherein Drunk Shopping engages the user in playful, friendly banter, and offers them random items they can buy with a link to where they can buy them. Combining drinking with impulse buying seems like a dangerous (or awesome) combination, but it certainly seems entertaining if nothing else. Well, it’s fun. But, more importantly, it leverages a ubiquitous, familiar, and convenient (always accessible) behavior – not just texting, but drunk texting – in order to bring shopping to someone right where they are, even if it’s Mahmoun’s at 3AM. For all of its silliness, it’s a great example of how on-demand services are proliferating into all sorts of directions. The name of the game today is reaching people where they are with what they want (or what they don’t even know they want), and there are plenty more examples of on demand, text-to-shop services you should check out over at PSFK. Mover Siri, here comes Ahh-nold. 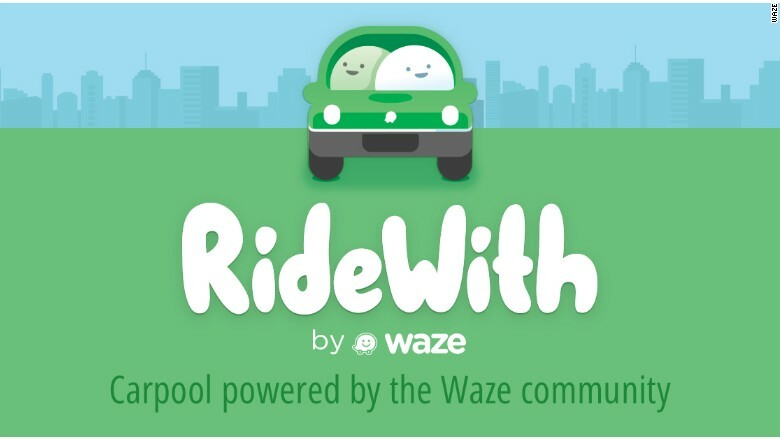 For the next three weeks, drivers who use the navigation device Waze can get directions from the voice of the Terminator. They won’t be able to find their way to Mars—after all, this is a cross-promotion for the upcoming Terminator Genisys, not for 1990’s Total Recall—but they will be able to navigate cities, suburbs and the country to the robotic monotones of Arnold Schwarzenegger’s most memorable character. UberDrive: The next Angry Birds? 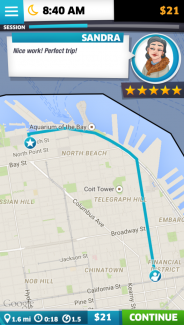 Uber came out with UberDrive, a game designed emulate the typical experience within the Uber app for Uber drivers using the regular Uber app (complete with accepting rides, choosing routes, surge pricing, etc). The app will be available in the iTunes store, although is primarily meant for those in the San Francisco area where they are testing the potential benefits of the app as a means of recruiting potential new employees. 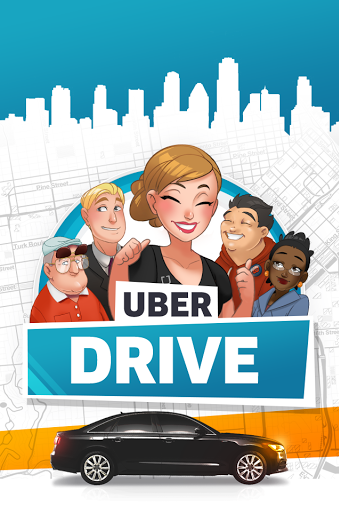 Not only can Uber benefit from some light-hearted publicity with the release of a game, in contrast to it’s string of some not-so-light-hearted publicity, (see here) but it also represents an innovate way to reach out to potential new employees. While it started as merely a passion project, nobody should discount Uber’s trend-setting potential with an idea like this. For more about this, read this link. Quick thinking by a Florida mother helped her and her children escape a potentially deadly hostage situation by an unlikely communication device: her Pizza Hut mobile app. After being taken hostage at knifepoint by her boyfriend Ethan Nickerson, things were looking bleak for Cheryl Treadway and her two children. But while being held in Nickerson’s home, Treadway managed to convince her captor to return her cell phone so that she could order a pizza for her children. In that moment, Treadway ordered a small pepperoni pizza and included the notes, “Please help. 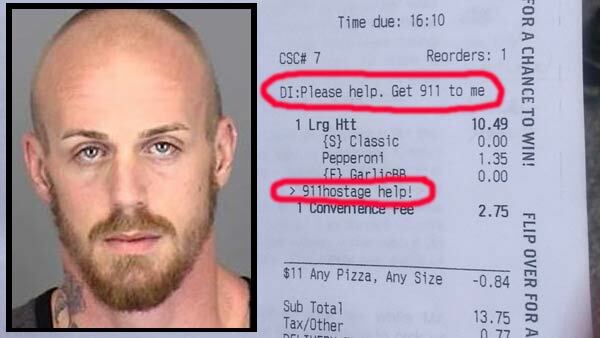 Get 911 to me,” and, “911hostage help!” The local Pizza Hut recognized her as a frequent customer and flagged the comments, contacting local police. When Pizza Hut created its mobile app, odds are they didn’t think its code could do much more than order pizzas let alone save someone’s life. But with the proliferation of mobile technology like apps, even a pizza ordering service can be a communication vehicle. Thankfully this Pizza Hut was staffed by employees who took the comments seriously, and were able to play a role in saving the Treadway family’s lives. Facebook this week launched a new feature of its Messenger app that will allow users to pay friends from within messages. Forget PayPal or Venmo; similar to the Snapcash feature from Snapchat, Facebook users can split a bill or repay a friend within the app via private message. 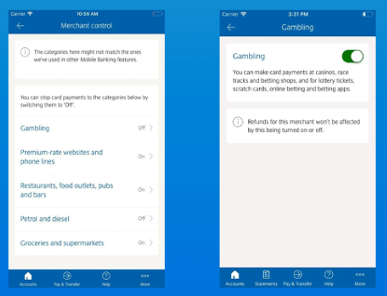 Why It’s Hot: Cashing in on the popularity of mobile payment apps, Facebook created its own feature to add to the mix of app payment options out there. There’s no question that Facebook’s internal payment system will be convenient for its hundreds of millions of mobile daily users. To address the question of privacy, Facebook’s anti-fraud team has said that the payment system is kept in a secured, highly-monitored environment separate from other, less secure parts of the social network. 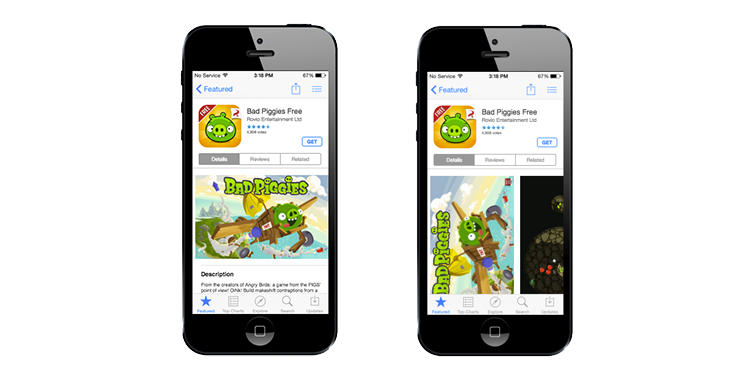 When it comes to mobile apps, it seems consolidation is everything. We previously talked about news apps that gather together information from different sources and combine into one app. 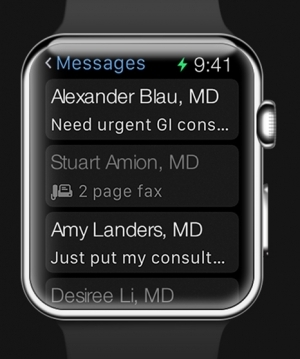 Perhaps the future of apps will be that less is more: Having less apps because each one is capable of doing more. If you were browsing Google or playing a Google Play app during the Oscars broadcast this past weekend, you may have noticed ads honoring the winners not long after they even became winners. 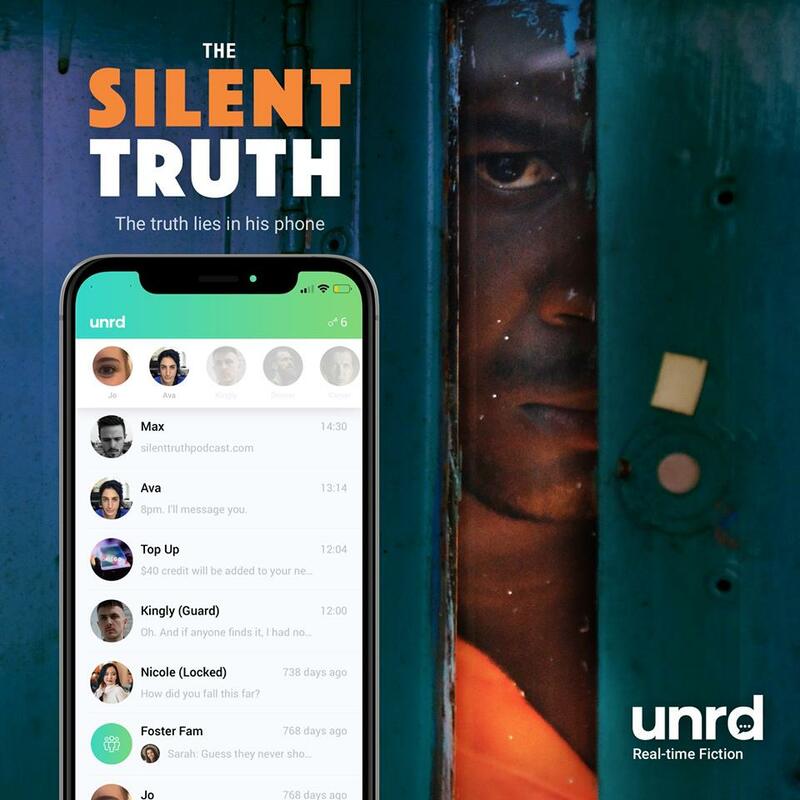 Those ads were the result of Google’s a real-time Oscars marketing campaign, built to promote buying or streaming the winning films on Google Play just moments after the stars accepted their awards – that is, while the topic was still hot. After each major award was announced, Google Play served a customized congratulatory ad and within 15 minutes, continued on to the next real-time ad for the next winner. Why It’s Hot: Google has previously used its ad network to deliver ads in real-time and to develop creative content quickly, but this is the first time the tech giant used its ad technology to promote its own business. We frequently see brands flock to Twitter for real-time advertising, especially during live events. This time, Google used its own search platform for advertising instead. I recently posted and we talked about Target‘s real-time, live ad featuring a performance aired during the Grammy Awards. It seems we are entering an age of new ways to market products in real-time – especially during widely popular, hugely anticipated and thoroughly-covered-by-the-media awards shows. It’s a no-brainer: Google found that the number of searches for stars or movies increases during awards shows; but interest only lasts for a few minutes – until the next award is bestowed. While Google hasn’t said how many movie sales the campaign actually generated, the ads were served across 650,000+ apps and its online network of websites. Now the question is: What will they do next year? 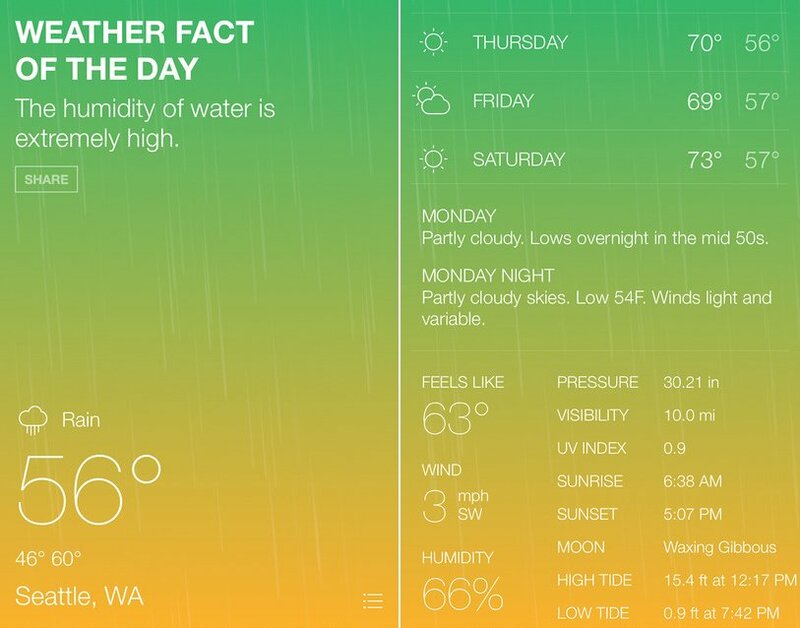 Viral comedy site Funny or Die has its own weather app, and it promises to infuse some laughs into your daily weather forecasts. 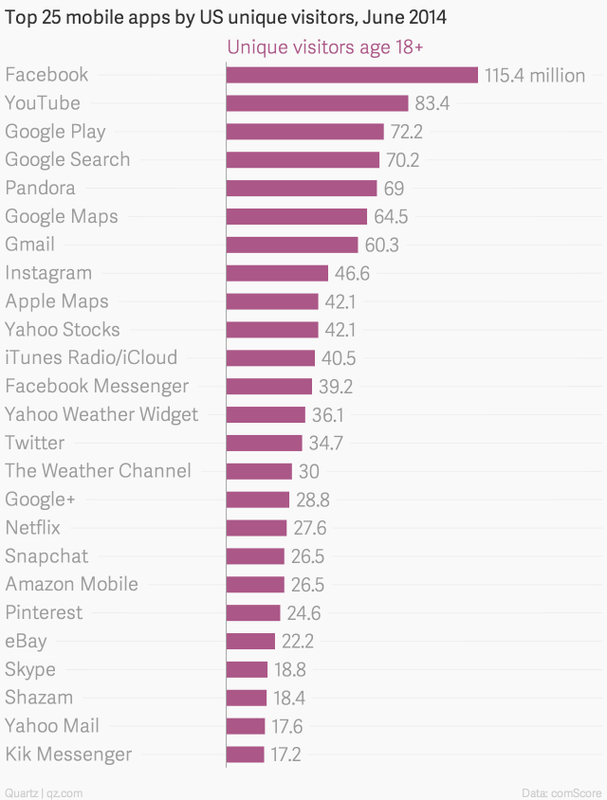 But nobody downloads a weather app solely for the jokes, so to make sure that its forecasts were up to snuff, the app sources its data from Weather Underground, which actually makes it just as reliable as any other weather app out there. Aside from its jokes, the app offers some stylized weather animations to match the conditions outside, and it includes five-day forecasts, wind speed and direction, humidity, UV index, barometric pressure, sunrise and sunset info, and moon phases and tides. We’ve never really heard of a weather app infused with jokes, but it make sense the more you think about it. The weather is boring, why not spice it up with a joke? The design isn’t as beautiful as, say, Yahoo Weather, but it’s not a limiting factor. As far as the jokes go, Funny or Die thankfully appears to not have overdone it — the focus is still on the weather over the jokes for now — and with Weather Underground’s data powering it, comedy fans should find this app a fun addition to their collection. A simple spin for a very simple solution already existing. Humor has always been a way to enhance the experience of day-to-day things, and this is a perfect example. Also this is another great example of the ease and accessibility increasing for apps and the potential for niche applications. 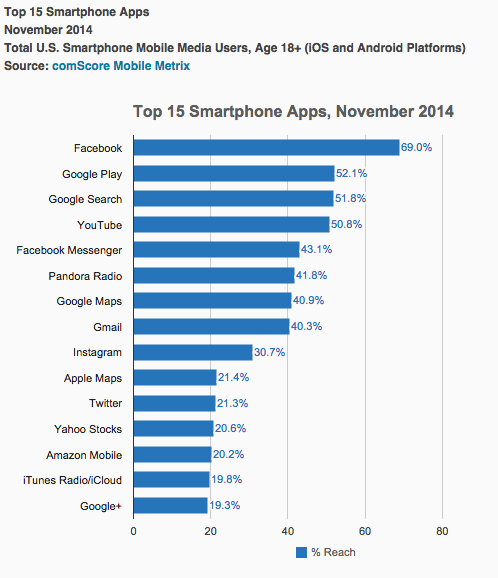 That’s one of the main takeaways from the ComScore mobile app data report for November, 2014, released today. This presents a new opportunity for how we can approach Facebook. How can we take advantage of this shift in usage for multiple brands? Does this effect international and global consumers as well? This also might give us some insight to the future of how people will perceive Facebook – as a communication network rather than as social as it is new.